O.B. 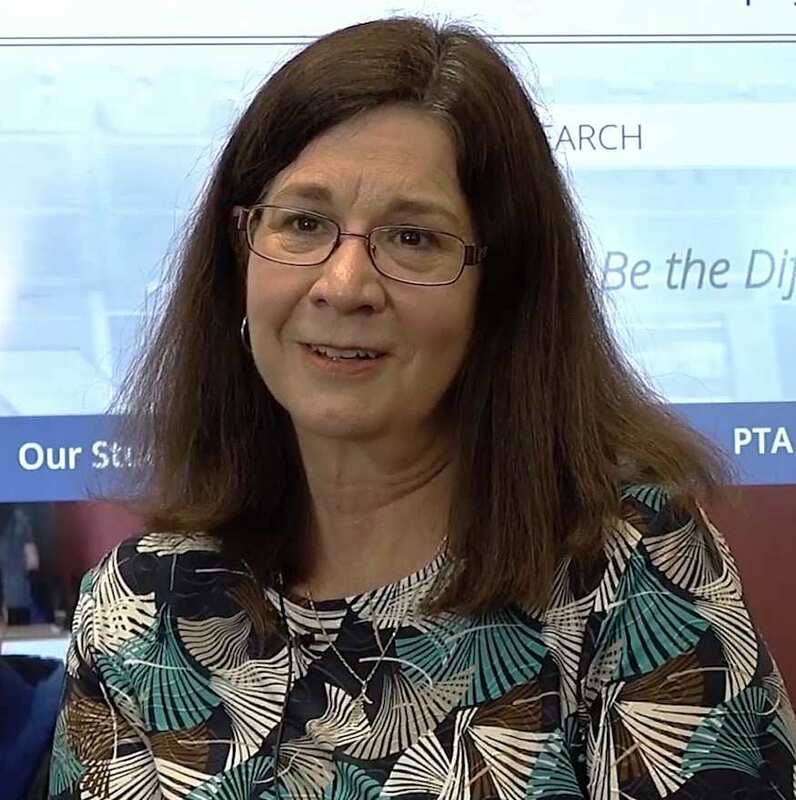 Whaley Elementary School was looking for technology solutions to create an engaging 21st-century learning environment that would encourage participation, and increase student engagement. Since the school currently uses Chromebooks and Google Drive, it was important to find a solution to easily integrate with Google products. 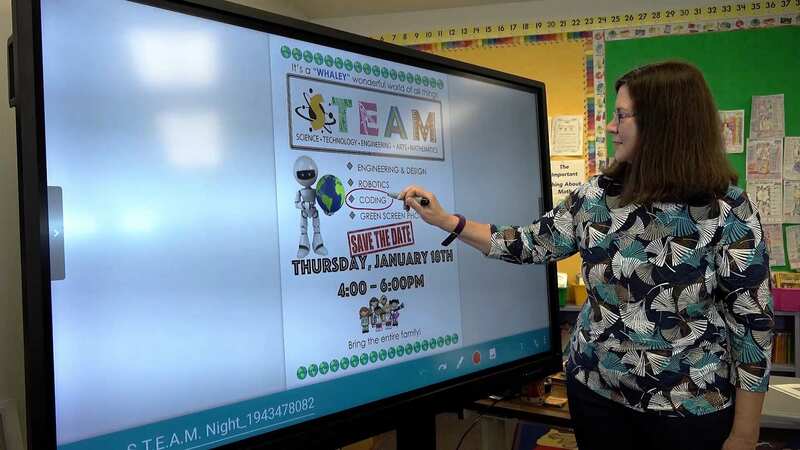 As Cathy D’Arcy’s class had not used an interactive flat panel prior, the product had to be simple to use with little training and deployment involved. Integrating AVer's interactive flat panel and AVer's wireless document camera into classroom lesson plans. Promotes interactive learning, collaboration, and 21st-century learning. Screen share technology transforms the classroom to let students become the teachers by leading discussions, and helping other students understand concepts. Integration of AVer's wireless document with AVer's interactive flat panel lets educators teach from anywhere in the classroom, and share student work with the entire class. 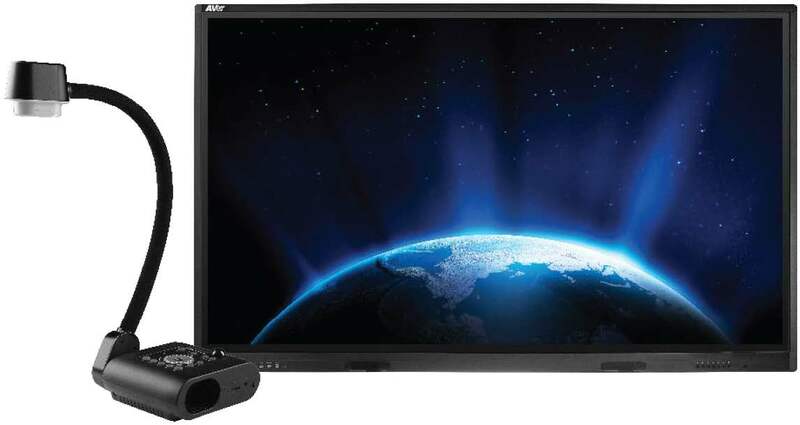 Easy deployment and training provided, so teachers can quickly and effectively start using AVer's interactive flat panel in the classroom. Located near the foothills in Southeast San Jose, O.B. Whaley Elementary School serves 582 students. As part of the Evergreen School District, their mission is to provide high quality 21st-century education for students. Creating a community where students, staff, and teachers come together to develop each student’s unique potential, and prepare students for the future. "AVer has been a fabulous addition to my classroom. It has really helped me with my teaching. It has made it more exciting for my classroom." "Students love being able to show other students what they’re doing at their desks with the screen share feature. They love to be able to share what’s on their Chromebook screen with the rest of the class," said D'Arcy. AVer's interactive flat panel comes standard with built-in native screen share technology that’s compatible with tablets, Chromebooks, and laptops. Students can cast their screen up to the interactive flat panel, and share their work with the entire class. The wireless AVer document camera also seamlessly integrates with AVer's interactive flat panel. This allows educators to teach from anywhere in the classroom, and create more participation and engagement by giving students the opportunity to lead discussions. Whether it’s on a computer screen or a physical project on a desk, students can share their work and learning process with the entire class. Integrating AVer's interactive flat panel and wireless document camera at O.B. Whaley has made learning more interactive, and engaging for Cathe D'Arcy's third grade class. "The students really enjoy it, they enjoy having the ability to interact with the things we’re doing," D'Arcy said. "I enjoy [accessing the cloud] where I can add all these different kinds of PDFs to share with my students on the screen this way. Then we write directly over it and it saves it there so we can review it later". Google Drive can easily be accessed on AVer's interactive flat panel. Teachers can quickly pull up lesson plans, and import PDFs into the feature-rich Whiteboard app.There are a variety of colors available for annotation, and students can pick their own color and add ideas to lesson plans. 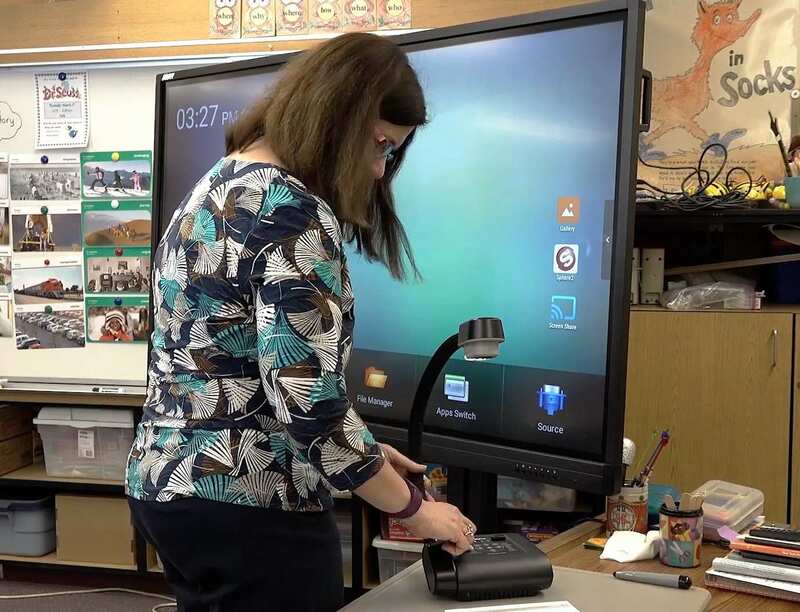 AVer's interactive flat panel and wireless document camera transform classroom instruction to give students the opportunity to actively participate, and collaborate together. "My experience has been wonderful. I feel like I learn new things with it every day when I am teaching with my kids. They love watching me learn and then learning along with me."